The 2019 election campaign is half over. The parties have announced their election manifestos or platforms and are campaigning hard. Five years ago, in the 2014 elections, EFF was the new kid on the block. 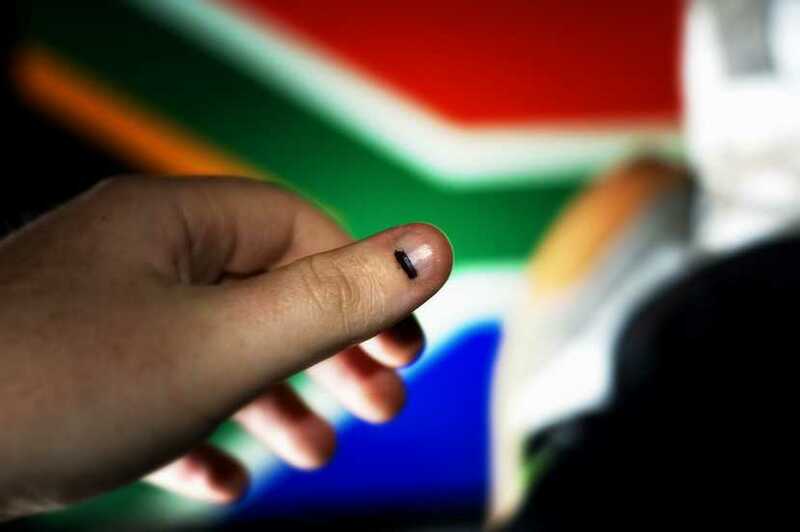 It brought a new energy and focus to politics in South Africa. But in 2019, the EFF seems to be a spent force, in decline. Its language is often on the edge of insulting some citizens, to win votes from others. Will this take it beyond its ten percent market share? Malema recently faced a number of charges of hate-speech at the SAHRC. The commissioners said that while his use of language had not been illegal, it was “problematic” in the light of historical race relations. It is a pity that politicians have to resort to such populist measures to garner support. In 2019, the EFF is still beating the same drum of Land Reform. This is an imperative that a majority of citizens now agree on. Although the question of HOW is still “in the works”. But the new ideas and trending this time around are no longer coming from the EFF, they are coming from the DA. This is because the DA has re-grouped over the past five years. It has a new and inspiring leader. He has had time to mature. And he has started to push the DA internally off its “liberal democrat” DNA onto a “social democrat” identity that lines up better with South African realities. The DA is putting the emphasis of kick-starting the flagging economy on Small Business. With a growing population, which has a younger demography than ever before, the ANC-led economy is still shedding jobs after 25 years. This is because the ANC put Small Business in the back seat, whereas the DA wants it not only in the front seat. And not just in the front, but at the wheel. Since the 2016 municipal elections, the DA has gained experience in governance while the EFF remained aloof. The DA has been successfully running one province and three of the four major cities. In budgetary terms, this is a huge bite of overall government spending. The term “successfully” does not mean that these cities are without problems. Cape Town faced a water crisis, Johannesburg faces inner-city degradation and Pretoria has battled to contain corruption even in a DA-led government. But one indicator tells the tale. When Solly Msimanga became mayor of Pretoria, it had a deficit. When he left that role to campaign for Gauteng premier, it had a budgetary surplus. That fact says a lot, without going into all the reasons why. That is the kind of governance that we need: fiscally sound. Will SANRAL give up collections of its overdue accounts? Or follow the FM’s budgetary principle that users must pay? The timing of SANRAL’s announcement was suspicious, just like Moody’s decision to postpone its announcement until after the elections. Eskom is another example. Will it be split into three Eskoms? The DA has been calling for this for a long time, and the ANC’s intransigence to restructure it could be one reason that Eskom has behaved badly. It takes government for granted. It is now time to call Eskom’s bluff. The ANC is fiddling while Eskom burns – coal. Bad coal, brought to you by the Guptas. At an inflated price too. No wonder this once exemplary power utility has hit the skids. When the DA leader says that the Zondo Commission has become the new TRC, he is emphasising something by not saying it. It looks like Zondo is going to offer amnesty for honesty. Is the ANC’s policy towards corruption and patronage: “forgive and forget”? This raises another concern, in a country where the vanguard party, not the National Assembly, pulls the strings on who is State President. If Ramaphosa is elected (by voting for the ANC in the contorted system of cadre lists and proportional representation) – will he really rule for a five-year term? Or will he be recalled? There are many who believe that he will be ambushed by his own party, that is by a faction of his own party – within two or three years. They are currently just biding their time to let the storm pass. To get the ANC re-elected. They are down but not out. They are famous for come-backs. The DA has also had its internal issues, but that has resulted in it repositioning itself not merely as a “liberal democratic” party but also as “social democrats”. This has been messy at times, but not as bloody and dangerous as the ANC in-fighting. And a new invigorated DA has emerged, not a gridlocked party like the ANC. Getting back to the clean-up operation that Ramaphosa has started. He can never finish what he has started because of that alter-ego that persists within the ANC. Only the DA with its strict policy of a 15-year sentence for anyone convicted of corruption or patronage, can be expected to cut out that cancer once and for all. Radical surgery is needed and only the DA seems to be serious about this. Well, not only – if you consider the IFP’s platform, which includes bringing back the death penalty. There are now 45 parties registered with the IEC. In both the Ipsos on IRR polls, 42 of these parties soak up twelve percent of the overall poll. Leaving only 88 percent for the three front-runners to split between them (ANC, DA and EFF). The ANC is still the front-runner. But in the scenario that it sinks below 50%, it will form a minority government (like Theresa May who constantly needs the DUP to pass any Bill through parliament). Partners of any minority government are always just a “junior partner”. Whereas a DA-led Coalition will have some balance. Its partners will each have a modicum of real power, not just a bone thrown to the dogs. Each party will have a significant share in decision-making. But this is a good thing for Democracy, especially for one where the ex-liberation movement has ruled using an approach called “vanguardism”. The party is more powerful than the people. Governing by coalition offers the National Assembly for the first time an opportunity to start functioning in the way the Constitution reads. COPE merits honourable mention in this 2019 election campaign for championing a new approach to electing MPs – by constituency. In 2019, based on the first half of the election campaign, the DA seems to have the best prospect of leading other parties in a balanced and true coalition. Getting into bed with the ANC is rather like a flea trying to influence an elephant. It can only pester and annoy the elephant to scratch where it itches. A real democratic government coalition can best emerge under DA leadership. The EFF seems to be bracing itself for losses of senior cadres. The ANC is spending more time on its cloak-and-daggar internal issues, than on running the country. The DA is rising, slowly but surely – not to replace the ANC majority, but to lead a truly rainbow coalition. The campaign so far has been characterised by ANC setbacks, EFF losing traction, and DA filling the space vacated. How many more setbacks like Bosasa, load-shedding and impunity can the ANC absorb? The EFF may lose many votes to the new party owned and run by security guards? The DA was the last of the three front-runners to launch its manifesto, but it has a lot of positive momentum going for it, entering the second half of the campaign. Chuck Stephens, Executive Director of the Desmond Tutu Centre for Leadership.